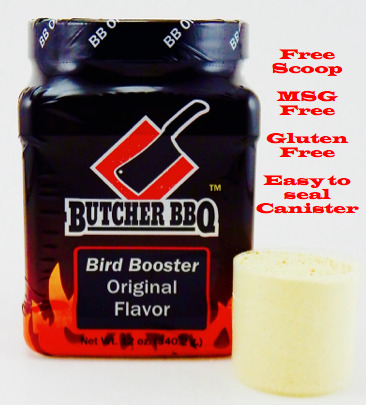 Mix 1/4 cup of Bird Booster with 2 cups of water. Use a kitchen injector and inject thru out the white meat or dark meat. Be sure to get it all the way to the bone.While injecting be sure to move the needle around the meat. This amount of product will do 10 pounds of meat.